I’ve mentioned before how much my husband and I enjoy playing video games. We’ve tried to manage our time and money spent on them and we’ve been pretty happy with what we have. I haven’t, however, mentioned that we also enjoy board and card games with friends. Both of us grew up in families that enjoy friendly competition. Recently we’ve gotten back into games and we wanted to try something new besides our regular stand-bys of Scrabble, Cranium, and Rook. 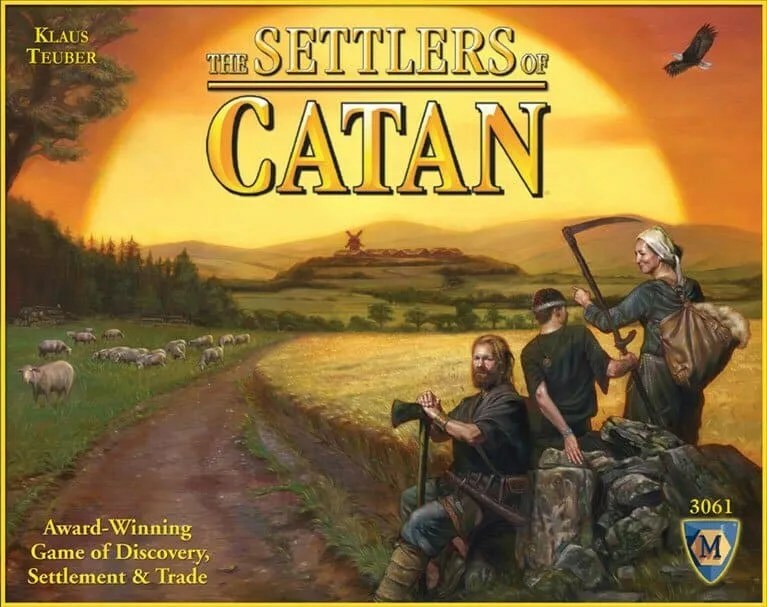 I heard about Settlers of Catan and tried the game out first on my tablet. Loving it, I ordered the basic set from Amazon for game nights. For those who haven’t tried, I highly recommend it. The game is designed to have you interact with other players to trade resources. Next paycheck I’m ordering the expansion so we can have 5-6 players with the game. So imagine my surprise when I saw On Target Coach’s post this week about 10 Reasons Why Personal Finances Are Like The Settlers of Catan. It’s not only a fun, there are some really good points on how you can improve your finances. In a Nutshell->Joining a Warehouse Club – Good for Finances? I look at the pros and cons of being a warehouse club member. You don’t always save money. My Financial Reviews-> Go For a No Cost Refinance? My friend is looking at refinancing and a no-cost option came up. What’s the catch and is it worth it? If you have some free time this weekend and want some tips and information about finances, be sure to read some of these wonderful posts. Hey thanks for the mention! Great game. I’ve thought about buying the online version, but then I wouldn’t get any blogging done! I’ve heard so many rave reviews about this game… maybe I’ll have to give in and just buy it already. It’s pricier than a typical game, so you may want to try the app for the game to get an idea of whether it’s something you’d like to play. We are big board game players. One we really like is Ticket To Ride Euro Edition. It is a blast, especially when you have friends over. You should try it. Thanks so much for including Daisy’s article on working out. She suggested some awesome ideas. Thanks for the suggestion! I’m going to look into it. We’d love to add another game to our rotation.